Here we are Blossom and there you are. Indeed we continue our relationship/friendship for this is how we desired it to be when we … you and us … made this arrangement. This is much speculation is there not concerning the future coming Event? Yes … Much around our internet is hyping the whole thing up ‘good and proper’ and you wouldn’t believe some of the scenarios concocted! Yes we would. For it is understood that an eagerness is present and therefore one is likely to fall hook line and sinker for much that is presented due to assisting the self in one’s needs and requirement’s to suit that which it FEELS the soul desires. Yet may we remind each one … listen closely to your hearts. FEEL how any written or spoken words TRULY resonate with that space within you … For we consider much propaganda spread in order to detract from the REAL EVENT that is to ensue. Quite a few asked as to the ‘store‘ that you spoke of. Many prepared before Dec 21st 2012 and therefore this is already in place … yet one is wondering how long one should prepare for? We cannot comment directly for much will depend on the effects The Event shall have overall. That makes sense and I thought you would reply that way. So would you say three months as opposed to three weeks or three years? We cannot say definitely … We would say also that these stores may not be needed at all! Yet it is best to have emergency supplies … just in case. 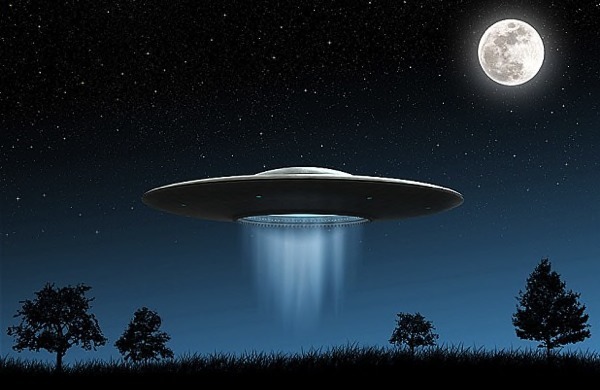 The fact is that the energy that is coming though during this Event is of vast magnitude and therefore may affect power lines and grids and all things of electrical nature. As to how long it shall take to regenerate again … we are not quite sure … until it is underway. Many are concerned that this Event will be catastrophic. There are rumours of quakes etc. … Could you not … seeing as everyone else is … give us your take on what you ‘propose’ will take place? We certainly would not use the word catastrophic … for this implies fear of upheaval and all natural disaster does it not? We consider that THIS EVENT is to be of a euphoric nature. One that is to change the ways of your planet. WOW … suddenly as I write that sentence, my body turned to jelly and a beautiful Peace came over me and it is still with me. This is to ensure you that This Event is of this nature and NOT of any form of disaster. How can it be that such an Event is to take place … one that is to change the awareness of the entire planet … and that it be of fear and death … and removals off planet … and no food and water … and earthquakes … and pole shifts etc. etc. ? Not within our reckoning. It was once considered an ultimate possibility yet this is no more. Yet are not the poles moving? Have they not always? To a certain degree? Then we explain to you … that YOUR MOTHER EARTH … and those upon it have been undergoing this shift for eons of time. One is now in the position where ‘lift off’ shall we say … is imminent. After many moon cycles of planning and determining results. Sometimes we ‘smile’ from our hearts at the ‘reasoning’ behind some of your thought patterns. Sometimes one could despair and yet we do not … for we know better … that one’s thoughts have been so misled that such imaginings could be so disastrous … when it is of THE MOST WONDERFUL HAPPENNING THAT IS TO TAKE PLACE. THIS IS YOUR TRUTH IN LIGHT/OF LIGHT that is BEING returned to you. WHY? Why dearest souls would you imagine it to be a ‘sticky ending’? THIS IS A HAPPY BEGINNING! WE REJOICE. WE REJOICE. WE REJOICE! For that which is upon you … as we have said before … shall bring you to your knees in awe and gratitude for BEING ALIVE IN THE HUMAN FLESH AT THIS TIME. The FEELING that shall wash through you shall leave you in a state of KNOWINGNESS that YOU HAVE ARRIVED! Do not consider for one moment that there shall be devastation. There may be a little unsettlement … yet there are plans in place for one to be assured that all is being done to get the state of energy back in place and avoidance of any ‘grappling’ shall be under control. I FEEL many may question that last sentence. Do you mean any looting etc. … should all electricity go down for a while? Yes … yet may we say … this is an implant in one’s mind. This is how one has been fed. This is of the old way. Yet when the energy of the new way falls upon you and engulfs all Beings … there shall be an IMMEDIATE CHANGE within the system … within the mindset of all souls upon the planet. The recognition of self shall return. The recognition of TRUTH shall be FELT within and therefore such greed and scarcity actions are unlikely to take place … for each one shall give and receive to their neighbour. CONSIDER … A CHANGE OF HEART. FOR ALL MANKIND. THIS IS WHAT YOU ARE TO LOOK FORWARD TO. THIS IS WHAT THE EVENT IS TO OFFER YOU. This we do not know … yet this is what we offer. This is where we shall discuss the fact that this is a first! Therefore … outcome cannot be KNOWN. What we do know is that the majority of souls on Earth desire a better way … a finer way. We therefore are TRUSTING that when offered the opportunity … the majority shall take it. For the few that are not ready … it will not be long before they are … because the vibration of your ENTIRE planet shall be lifted greatly … and we mean GREATLY … and therefore one would not be able to reside happily within it unless they were prepared to do something about it! Many are concerned of children and pets. There is a in our world which has a line ‘I can feel it coming in the air tonight oh Lord. It’s a feeling I’ve been waiting for all of my life … oh Lord’. It keeps running through my head. My concern is … and that of many I assume … of this doubt that we are being taken for a ride up the garden path once again … and how many more times will we ‘fall for it’. My saying these days is ‘We’ll wait and see’ … because not one of us wants to be taken for the fool that so many already think we are!! Yet this doubting … that nothing will actually happen once again … cannot be good for the greatest good! This doubting is part of the plan to bring about your downfall …. from those that only have the desire to have you fall down! Yet, is it not those ‘not of Earth’ that have given false hopes? That is for you to decide for we CERTAINLY do not see it that way. All that we have given is of our Truth to you. To assist you in this transition. That which has not transpired is not because we were cajoling or speaking untruth … It simply was deceiving energies playing with emotions and predictions of falsehood. Ok … some serious clearing up to do there. Right … so … step one … the second half of that sentence … let’s break it down … When you say it simply was deceiving energies playing with emotions and predictions of falsehood. Can you clarify what you mean? We are aware that you are thinking that we are suggesting that YOU Blossom have experienced deceiving energies channelling through you to give wrong predictive dates are you not? No … we mean that this has been the case in some … if not many ‘given dates’ … in order to ridicule the KNOWER of Truth. Yet we mean also that … messages of Truth and happenings to occur have been tampered with … not the message as such … yet that which takes place after the message has been offered in order to prevent such happenings taking place . THERE IS NOTHING THAT CAN HAMPER OR MEDDLE WITH THE EVENT THAT IS HEADING YOUR WAY. NOTHING HAS THE POWER TO TAMPER WITH THE ALMIGHTY FORCE. NOTHING CAN PRETEND TO BE OR IMMITATE THAT WHICH IS COMING IN TRUTH OF WHAT IS. Point taken. So if nothing can interfere … why can we not be told when? Because it is necessary for it to happen ‘unexpectedly’. For a multitude of reasons. Dearest souls … FEEL our energy as This Event draws ever closer. FEEL the TRUTH of that which we say. THE TIME IS COMING when such matters shall no longer be able to be part of your make up. For in your every waking moment shall you give gratitude for BEING LOVE. WE ARE IN SUCH EXCITEMENT TO BRING YOU AND WELCOME YOU INTO THE NEW WORLD. Are you serious? You said that so many times in 2008 … I have to say that should The Event actually Eventuate SOON … I don’t know about holding on to my hat … I shall probably have to eat it! Mmm. Really? HOLD ON TO YOUR HATS! Whatever does that mean … in your terms? More to the point what does it mean in yours? ‘Get ready for what is coming’. Actually yes … I know our time is nearly up yet … I am aware that myself and those around me and those who write in are FEELING SO EXHAUSTED and really strong aches and pains throughout the whole body … I mean REALLY STRONG. Any comment … other than … ‘part of Ascension’? We would say it is causing you to rest more whilst you normally would not consider to do so. We would say too … that it is literally change in your density of bone structure … That which you are ‘made of’ at this time is too heavy for the new energies that you are to reside in. In simple terms ‘walking/moving’ would not work! When enduring such aches and pains … visualise your body rising/lifting into air … becoming ‘aerated’ … resting on soft fluffy clouds as the density leaves and therefore one is left with ‘less of it’ … simply Lighter Beings … Lighter bones … for now. Lighter EVERYTHING. FOR ALL THAT IS YOU IS LIGHT … and it would seem improper not to match your heart. Oh and how we love you! (If I may be so bold as to speak for many.) Happy Oct 14th … once upon a time the worst day of my life … on reflection … it showed me which pathway to walk and I am so happy to be ‘walking this way’!! In Love and thanks. upward movement by hu-manity collective] are currently not allowed by these Energetics, and supporting grid structures. The audio file of this live channeling can be found here. Thank you. Welcome Awareness. Thank you for being with us this evening for the Rainbow-Phoenix membership session. Today is October 13, 2013. Will Berlinghof is the Interpreter for your messages, Joan Mills is the questioner and energizer. The Law of Love and the Law of Light have been invoked. Is there an opening message or event you wish to discuss prior to going to the questions please? That this Awareness does indeed have an opening message today. It is an important message to all of those who have recently received certain information sent to them that was most negative in nature and did not provide any sense of the hopeful, of having hope that that which was contained within the information that was sent to them is anything other than a false attempt at maintaining control and perpetuating the fear and the hopelessness that those in charge would wish humanity to believe in. That this message was sent out by one who has a degree of authority, a position of authority whereby those that received this message, this negative and hopeless message, were impacted due to the one who sent this message. That this Awareness also is aware that others have received the same message forwarded to them by others who were concerned of the message, of the information and felt they needed to share this information. This Awareness wishes to be specific as to what information It is alluding to, the message that has been sent out that many have received. It was a dispatch that asserted that nanotechnology has been long used and that the food and drink that everyone is taking in (vaccinations) has been infused with this negative energy, with this negative technology. That the claim was that already 80% of the human populace is infected with this nanotechnology that if desired could be used against humanity to create illness, to create a virus so strong that those who are being targeted will die within ten days. That further to this the plan is to infect over 95% of the human populace with this nanotechnology, this weapon of technology by January of 2014. That the problem with this message is that it is largely disinformation. It is a ploy of those in charge, in power, to create even more that which is a sense of hopelessness, a sense of negativity for one’s life. The force of this message for those who would take it on board is so great that they simply will give up hope that they could live another life, have another experience. They in this instant being those who receive this negative message, this message of disinformation. That the first thing this Awareness would say is that one could choose this information as that which has validity, which is real, which cannot be fought against. For those who would go in this direction this Awareness would remind one and all that they are making a choice and they are basing this choice on entrenched beliefs, in their own powerlessness to change their own lives, to choose other alternatives. That in this case, this information is a desperate attempt by those in power to reach as many as possible in these, the last days weeks and months of a collapsing regime, so that they will have the greatest chance themselves, these ones who are in charge, these ones who are in power to survive the events of upheaval that are underway. That it is not only their hope but their mission as well to drag as many into the fear zone as possible, to create such confusion, such despair, such hopelessness that when they proceed with their plans, the majority will simply roll over and submit to this plan of the ones in control and the ones in power. Of course it need not be so. That even though these ones in power have already begun such plans, have already taken actions to create the nanotechnology that they wish to infect humanity with, that one needs to accept this as the personal experience of one’s life. This is an important issue indeed, for what this does represent is the need for those who have received this information, or indeed the urgent warning and that that this is so, that they have a choice. That they need to make a choice away from that which has been offered as inescapable, undeniable to a different reality and a different personal future. That while this may be one timeline, it is not yet achieved. There is not the 80% majority that has been affected and therefore there is every likelihood that for those who will not buy into such a statement, such an assertion, that they themselves can change their future, change this timeline that has been offered up to them, choosing another timeline that will not have this as the truth and reality of their lives. That this Awareness would also say during these times that there is great responsibility on individuals in their choices and in their sharing of information. While it may be worthwhile to share such information, one must also add that this is not a given, this is not a guarantee. That there is choice still and that when one abdicates through fear to such a negative scenario that they are not being responsible for their own choices. Also when one puts out such information without adding caveats of hope and faith that all will be well, then one is being of disservice. While this Awareness is not saying that these messages should not, is not saying that these messages should not be shared, It is saying that if it is important, one can share such information but one must equally provide an alternative view, must point out that this information is not validated or proven. It is simply something that someone has put out, someone or some organization has put out for the purpose of entrapping even more into the planet B energies, the negative scenarios where those in charge are doing everything possible to ensure that they will continue to be in charge when all is said and done. Therefore those in positions of sharing this information have a responsibility, especially those who have many to whom they send this information to. This Awareness would simply ask those who are in positions of sharing this information that they think long and hard on what has been sent to them and whether it merits further sharing. That one uses that which this Awareness has called the “B.S.” detector to sense their source information and to make a determination if this is authentic or not. The knee-jerk response of immediately sending such negative information further on can be detrimental in the long run to those who are not yet convinced, not yet certain, not yet aware enough to realize that this is an attack on humanity, a further ploy to drag one into the disbelief that one has personal power and can make personal choice here. Therefore, for all of those who have received this information: stop for a moment, feel the information out. Does it truly ring true? Does it truly have authenticity other than that fact it has been sent and seems to be coming from a legitimate source. Question all sources, question all motives and then determine if you wish still to send out this information. Also provide not only the negative message but also the alternatives to this information. Remind one and all that this is but one possibility and not a guaranteed possibility at all. That one needs to receive the information that has been sent to them and discern for themselves if it is authentic or not. One needs to receive the information and determine their response, not only through fear and through knee-jerk response but by contemplating the information, by feeling the information, by applying one’s “B.S.” detector to the information. If this is done for this matter and other issues such as this, one will start to discern more and more the manipulation that is going on, the gross information that is of disservice that is being put out, the disinformation that is being put out, and one will make their choices accordingly. In some ways this type of information is the line in the sand that one has come to. It is an opportunity to look at such information and clearly discern this information, to choose wisely what one will do with this information and to take one’s life in their own hands and to make the choices that do not simply support such erroneous information, such deceptive information but to make new choices, for there is new energy available that can be brought into one’s life that will create new realities, given one chooses wisely and with discernment. That many are in a position now where such a choice, such choices, must be made not only with this information that has recently been released but with many other choices in their lives as well. Personal choices as to their life situations, societal choices based on observing where society is and where it is heading, and of course those choices that have to do with those in power and their continual manipulation of consciousness to ensure their own best results. One can tie into the societal concerns, one can be led and manipulated by the machinations of those in power. When one is ignorant and unaware, when one is not willing to look deeply into such matters and to make choices on these matters, when one is simply in reaction and when this reaction is fear driven, then it will of course be easy to be one of the followers that are being led like the lemmings to the edge of the cliff. When one is in fear it is easy indeed to manipulate, for the fear response is of such a nature and has been bred into human consciousness for so long that it seems to be natural and right. This Awareness would remind one and all of the acronym for fear: “False Evidence Appearing Real”. Thus those in power with such a knowledge, such an awareness of how to control and manipulate will use fear to their advantage, will ensnare the majority, for humanity has been bred to be fearful and simply to respond to those messages of fear that demand certain actions be taken. Actions such as going to war against an enemy, actions of arming oneself and bringing in supplies so one can survive. These fear-driven responses are not those that will liberate the individual but rather ensnare them and drag them down. That the line has been drawn in the sand and that it is important now to understand this, to recognize this, to realize that you are indeed at that crucial point of choice in terms of which direction you would wish to go. Do you wish to follow the masses into the planet B scenarios? There are many who are offering these messages at this time where it seems that there is no choice, that this is what is happening, that this is the reality of the experience on the physical. There are those who are tired now of such choices and such manipulation. The choices that they face may be that they wish a new world, a new paradigm, a new order of things that no longer give such control and power to these manipulators. 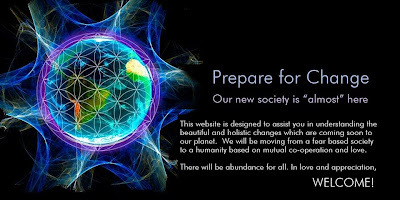 This is the new balanced and harmonized planet A/B that this Awareness has so long talked about, and that one can begin to re-create this physical dualistic reality to be one of balance, harmony and hope, one that is in alignment with Mother Earth and her consciousness as well as Divine Consciousness. But one must not jump into the fear-inducing response. One must hold that this is the planetary experience they wish to have and when information comes forward, to make clear choices, that “not for me”, that this is not for me, that I choose to believe we are progressing, we are moving forward. Then of course there is that which is the fifth dimensional consciousness that is becoming stronger and stronger for many individuals. That they take such negative information and simply apply their higher consciousness and create the planet A scenario interlaying on top of the planet A/B scenarios, overlaying the planet A/B scenario so that they start to see more and more every day that they are on planet A, they are at the fifth dimensional level of cognition and awareness, and that they make their choices always from this enlightened, illuminated level of consciousness. That they will begin to see more and more how the planet they are creating for themselves is truly planet A, truly that which so many are wishing to achieve and to call into their lives. Therefore at this time this Awareness does state that for all who have had the experience of this particular message, this disinformation, the wonder and doubt of the individuals who may have sent it to them, the wonder and doubt over the message– that they use this as their opportunity to clearly deny this information and make an alternative choice, a choice towards awareness, a choice towards healing, a choice towards the Light. At this time this Awareness wishes to offer another acronym. The acronym is for the word “faith”. So many are told to live in faith, that all will be well, that everything will work out. While this is so, many find it difficult when they are so beset with their personal trials and tribulations, when they are so imbedded in a negative world scenario, a negative national scenario, to have faith. 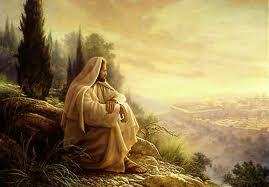 Faith seeing something that is untouchable, inaccessible, that cannot be reached. And this vague concept of having faith is indeed something that many find hard to have, for they do not understand what it is. It is intransient. Indeed it is that which seems to be beyond one, but it is not at all beyond one, and thus this Awareness offers a new acronym that may be of assistance for those who are struggling with their faith. The faith that all will be well, that their lives will be infused with Spirit and with the Divine and that they are indeed moving to a bright new future. Faith is Following Awareness Inside Towards Healing. That one can also understand faith is Following Awareness Inside Towards Home, one’s spiritual home, one’s spiritual Helios or Light. That as one truly begins to assess their world from that level of inner awareness, inner feeling of what is or is not, one is led away from those attempts to misguide and misinform. One will look at information such as that which has been recently released and realize that this information is being used to manipulate mass consciousness and that one can choose to buy into it or not. Following one’s inner awareness allows one to make choices that are in defiance of the mass choices that are being made by the majority of human beings at this time. It allows them to step beyond the line drawn into the sand and into a new way of thinking, a new way of feeling, a new way of being. Therefore this Awareness does say: Follow the inner awareness inside towards healing, your healing, your enlightenment, your freedom. Have faith, live in faith, be of faith, and it will serve you well in these most precarious of times. That this completes this opening message at this time. Thank you Awareness. That was very inspiring and I am sure the members will also recognize the value of your message. Thank you. That this of course is to be a public message, not only for the members of the Rainbow – Phoenix site but also to any and all who have come to the public site in need of support, information and understanding. Yes, thank you. That will be so. Thank you. Energy field around each of you and around Mother Earth is getting stronger and no longer supporting accumulation of negative aspects of 3D reality. This energy field is filled with Love and Light of high frequency and it works as a clearing shield of all that need to be released. Those who cleared themselves can feel it as powerful feeling of being lifted up from all that was holding them previously down and it is helping them to get used to even higher frequency of Being. Do be aware of this feeling and let this Love and Light that surround you inside through your heart and expect great change once your body adjusts to it. Those who are in process of clearing will feel strong desire and need to free themselves from issues that they cannot longer deny their existence. And those who are still engaging themselves in lower game of illusion will feel heavy pressure inside and will try to search even more of illusions to cover themselves with, but they can no longer influence all others with their negative thinking as it mostly stays within their own energy field. Everybody have already chosen their path and the reality they want to be in as no one knows better what experiences are needed as the one who lives them. Everyone is experiencing these changes the way they have planned, and find great comfort in knowing that the Plan is perfect and when you listening to your own guidance you cannot walk astray. The ability of listening to your Higher Self and all of your Guides has grown immensely and you trust yourselves much more than ever before. Remember that you do not need to compare to others for proving that it is really happening, because others might not experience their change the same way, rather listen with respect to others with knowing that there are so many possibilities for each of you, as our Creator designed all of us with endless differences to experience, but equal in all forms of expression. These are most wonderful times that we all are experiencing and we want you to feel this joy that is surrounding you. Do feel these powerful moments of your own transformation and let the knowing that all is perfectly arranged settle within you and give you that assurance that you are searching for. Life for you is not only physical anymore, and allow this fact to enter fully in your mind and let go of the last worries that are waiting for you to release them, as also your mind is getting ready for experiencing the new. Clearing your mind was the hardest part, but with your heart filled only with Love and Light and Truth of life, everything can be cleared away with ease, you only need to put your strong intention into it. Feel the power within you that you have already gained and be ready to feel even more powerful, when your mind will start to function the new way and open many more experiences for you. 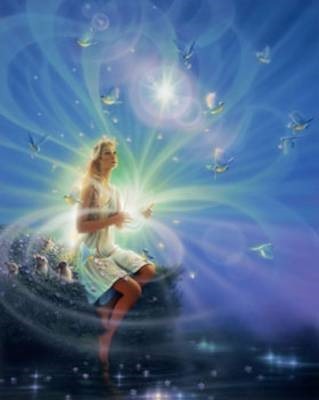 I am SaLuSa from Sirius and I am enjoying these changes within you very much, as you are sending all your wonderful feelings back to us and we can share more with you. Now we are connected together even more and this connection is getting stronger the more you settle within the higher energies. Keep your intentions focused on that what you want to experience and it will happen. We love you all.